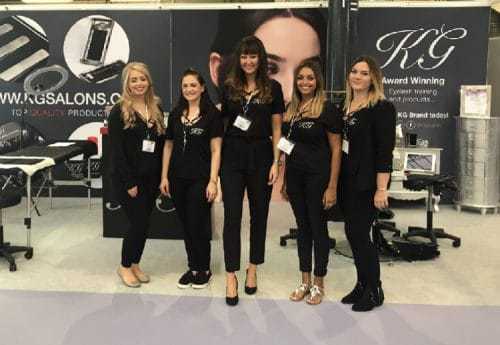 So this year we exhibited at Olympia Beauty. I have such a history with the show that I was super excited to see how it was going to go. 10 years ago I was modelling at the show for beauty brands. 8 years ago I brought my sunbeds at this show! And every year since I have been a visitor at this show. So to then become an exhibitor at this show is crazy. And if I can do it, anyone can! Who would of thought all those years ago, KG would have their very own spot next to the big boys! Selling our own range of lash products, training courses and LAUNCHING our franchise opportunity! Jessica, KG Head Trainer and I, seriously nearly walked out the morning of setting up. Mega stressed, everything possible was going wrong. But we got there in the end and it was worth it after seeing the end result. We had an amazing show! We got to meet a lot of our customers, gain a lot of contacts and get our business out there. Anyone thinking of doing a show should really consider it. It’s a huge thing, but so worth it even for just the recognition.